A major benefit of an expedition cruise is that you travel in the company of experts, who provide assistance and in-depth insight each day of your voyage. Biologists, geologists, naturalists, expert photographers and more guide you toward privileged, personal encounters with the people and places you visit. Let us help you find the expedition cruise that is best for your style of travel and budget. Silversea Cruises offers a separate Expeditions division, featuring luxury cruise ships that are perfect for experiencing the world’s untamed landscapes. Undergoing significant fleet expansion with 5-star expedition ships. New ships include an innovative multi-sensory underwater lounge. New electric hybrid polar expedition ship debuting in 2021. Inquisitive travelers enjoy access to Zodiacs and kayaks, along with highly-knowledgeable crew and guest speakers. Celebrity Cruises offers an expedition fleet featuring small ships that cruise the Galápagos Islands year-round. They offer a desirable blend of comfort and exploration. Offering expedition cruises for more than 25 years, they offer only the finest expedition teams, vessels and service. Guests are capped at 199, well below actual ship’s capacity. Expeditions designed for curious and intelligent travelers. Ships equipped with tools for active exploration. Debuting a new ship in 2020 with the highest ice class of any purpose-built passenger vessel. Specializing in Northern Europe, Arctic and Antarctic voyages, these ships feature highly-skilled crews offering exceptional, nature-based experiences. Owned, operated and guided by a family of life-long Alaskans, their cruises allow guests to witness the region through the lens of a resident. Carrying the spirit of the great explorers, they are the leader in Polar adventures, and passionate about it. Ships: 5 small expedition ships (including one all-suite, all-balcony vessel launching in 2019) and 2 icebreakers, each carrying fewer than 200 passengers. All equipped with Zodiacs. Indulge yourself in the unique ambiance and amenities of a luxury expedition cruise along the Amazon River or the Mekong River. Enjoy a unique, active, and more personalized travel experience in pristine environments such as Alaska and the Pacific Northwest. 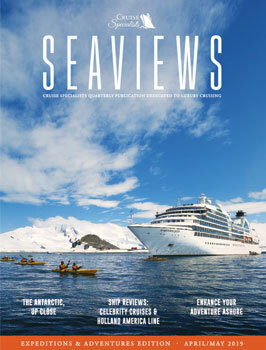 Need help deciding which expedition cruise will live up to your dream vacation?